Their love story may have taken them to different parts of the globe, but both Ravi and Dayoung chose India for their wedding. She hails from South Korea and he is rooted in Indian culture, so they planned dual ceremonies that captured the beauty of both their backgrounds in a historic location in regal Rajasthan. 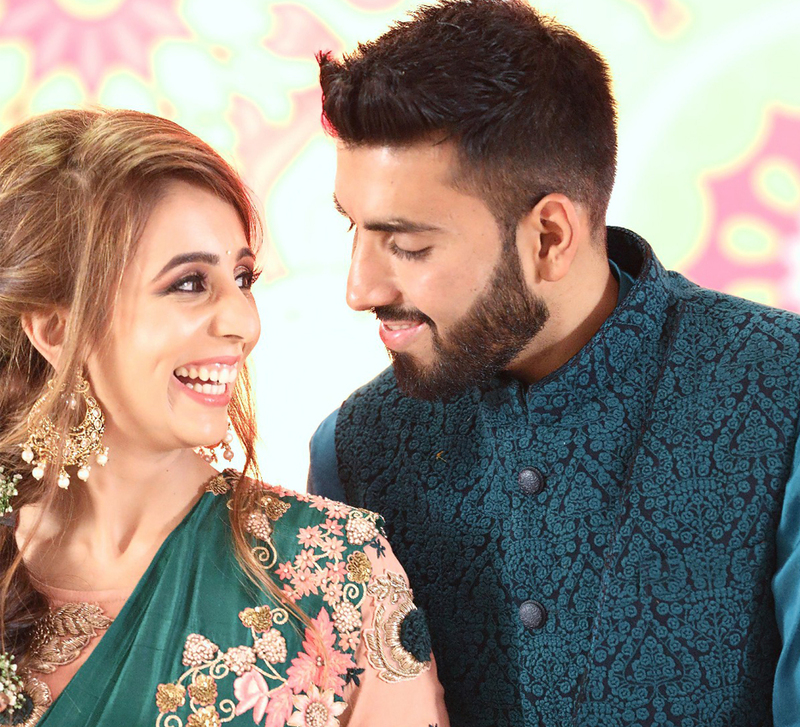 Check out the lovely moments of the special occasion that were captured by WeddingSutra Favorite - WhatKnot. 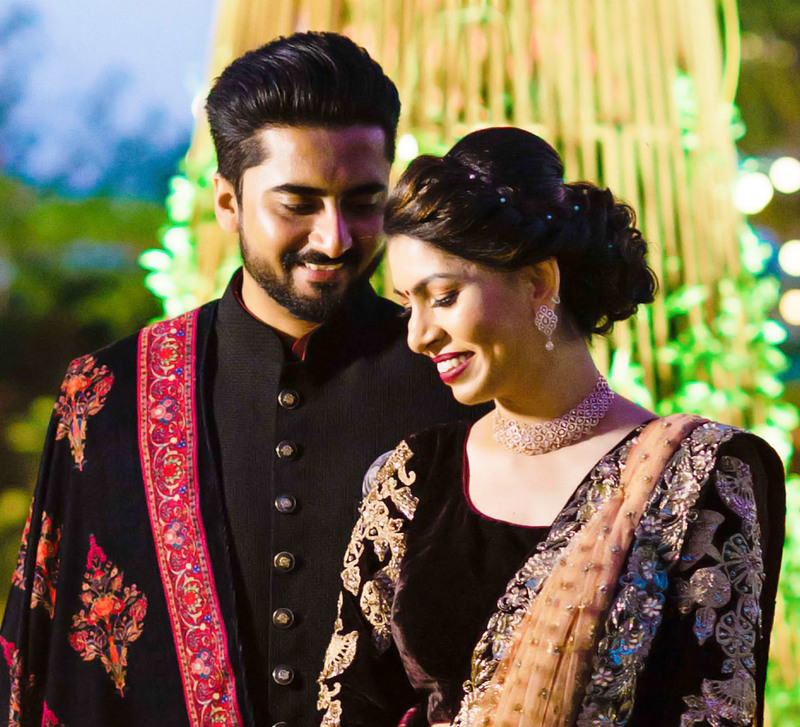 For Dayoung and Ravi, Hotel Fateh Garh in Udaipur, Rajasthan, proved to be the perfect wedding venue. Perched on a hilltop, with views of the lake, the luxury heritage hotel lent to their celebrations a distinctive Indian flavor. Complete with a palace complex and breathtaking architecture reminiscent of the age of royalty, this venue only added to the fairytale charm of their nuptials. To capture all the splendor that surrounded their big day, Ravi and Dayoung got on board WhatKnot for the wedding photography. The team carefully captured all the treasured moments of the special occasion with their candid captures of emotions and expressions. 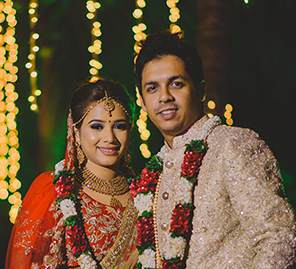 Dayoung and Ravi commenced their wedding celebrations with an elegant white wedding that was conducted within the hotel premises. Their loved ones gathered in the courtyard and showered them with blessings as they took their vows. Staying true to the tradition, the gorgeous bride walked down the aisle wearing a beautiful white gown while the groom looked dapper in a classic black suit with a white shirt and black tie. The white wedding ceremony was followed by the couple’s first dance and a raging after party where their guests channeled their inner dancers and brought out their best moves. The next morning, the couple and their families made their way to the gurudwara to wed once again at the ‘Anand Karaj’ (Sikh wedding ceremony). The minimalist setup at the venue included pretty arrangements of fresh orange marigold blooms. 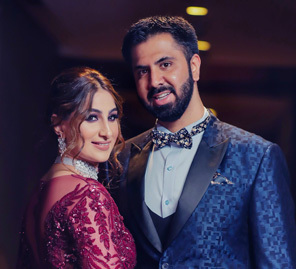 For this ceremony, the bride opted for a traditional Indian outfit in bright colors of pink and blue and Ravi donned a golden sherwani with a pink stole and turban.